For your 70cc liquid AIRSAL of 103, a change has every disassembly! 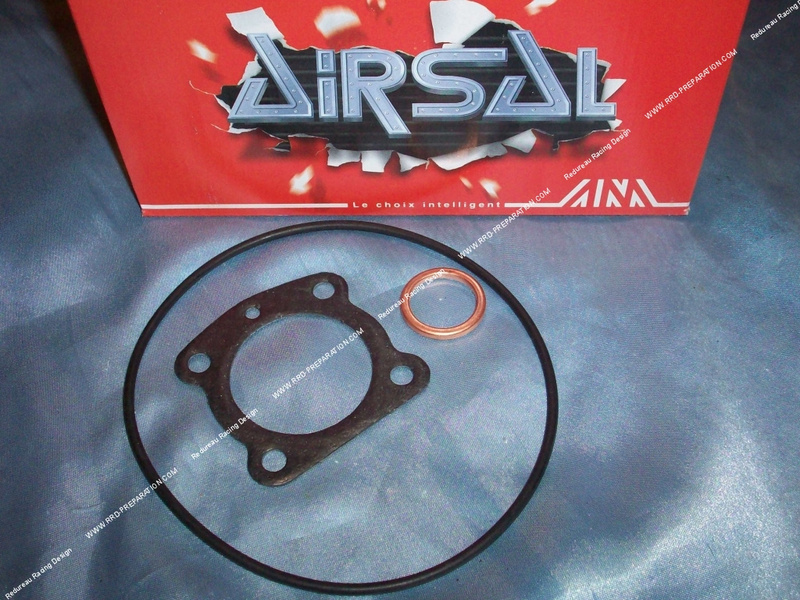 The complete spare seal kit pack for AIRSAL liquid 70cc Ø46mm on Peugeot 103, fox and HONDA wallaroo. It contains the cylinder head gasket entourage, breech compression gasket and exhaust gasket for a ball screw Ø32mm.